RIVERSIDE, Calif. – Female mosquitoes are efficient carriers of deadly diseases such as malaria, dengue and yellow fever, resulting each year in several million deaths and hundreds of millions of cases. To find human hosts to bite and spread disease, these mosquitoes use exhaled carbon dioxide as a vital cue. A disruption of the vital carbon dioxide detection machinery of mosquitoes, which would help control the spread of diseases they transmit, has therefore been a long sought-after goal. Anandasankar Ray, an assistant professor of entomology at the University of California, Riverside, and colleagues report in the June 2 issue of Nature (cover story) that they have identified in the lab and in semi-field trials in Africa three classes of volatile odor molecules that can severely impair, if not completely disrupt, the mosquitoes’ carbon dioxide detection machinery. The breakthrough research covers three of the deadliest species of mosquitoes: Anopheles gambiae (spreads malaria), Aedes aegypti (spreads dengue and yellow fever), and Culex quinquefasciatus (spreads filariasis and West Nile virus). The odor molecules that the researchers identified work by affecting the mosquitoes’ carbon dioxide receptors, which are located in tiny, antennae-like appendages – called maxillary palps – close to the mouths of the mosquitoes. Inhibitors: Odor molecules, like hexanol and butanal, that inhibit the carbon dioxide receptor in mosquitoes and flies. Imitators: Odor molecules, like 2-butanone, that mimic carbon dioxide and could be used as lures for traps to attract mosquitoes away from humans. Blinders: Odors molecules, like 2,3-butanedione, that cause ultra-prolonged activation of the carbon dioxide sensing neurons, effectively “blinding” the mosquitoes and disabling their carbon dioxide detection machinery for several minutes. Female mosquitoes spread disease by first obtaining a blood meal from an infected person and subsequently finding an uninfected person to bite. Extremely sensitive to minute changes in carbon dioxide concentrations, they can sense carbon dioxide in our breath from long distances. Upon encountering a carbon dioxide plume, the mosquitoes orient and fly upwind, arriving eventually near us. Most mosquito-trapping devices also use carbon dioxide to attract mosquitoes. But these devices tend to be expensive and bulky, and suffer from the usual difficulties associated with supplying carbon dioxide via gas cylinders, dry ice or propane combustion. In the case of the “blinder” class of molecules, Ray’s group found that even a brief exposure to these odor molecules (presented in a blend of four odors: 2.3-butanedione, 1-hexanol, 1-butanal and 1-pentanal) activated the carbon dioxide-sensitive neurons in mosquitoes for at least five and a half minutes, and evoked such a strong and prolonged response in the neurons that the mosquitoes’ responses to subsequent carbon dioxide stimuli were severely reduced for several minutes. In collaboration with Ring Cardé, a distinguished professor of entomology at UCR, Ray’s lab tested the effectiveness of this blend in wind-tunnels, and found that the flight of the blend-exposed mosquitoes toward sources of carbon dioxide in the wind-tunnels was disrupted. Subsequently, Ray’s lab tested the effectiveness of the blend of odors in a semi-field study performed in Kenya in collaboration with scientists Tom Guda and John Githure at the International Centre of Insect Physiology and Ecology (ICIPE), Kenya. 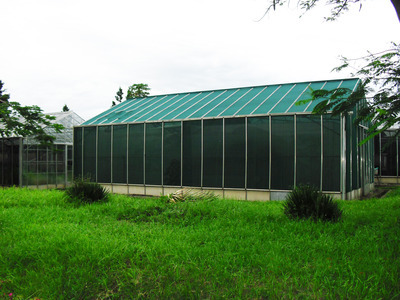 The research team released Culex quiquefasciatus females in a large enclosed greenhouse that contained two hut-like structures with carbon dioxide-emitting traps placed in each of them. The researchers then included in one of the huts a source of the ultra-prolonged blend in the form of a small fan-driven odor dispenser. They found that only a few mosquitoes entered this hut and made it to the carbon dioxide trap. The research was funded by a grant to Ray from the Bill & Melinda Gates Foundation through the Grand Challenges Exploration Initiative and a grant to Ray from the National Institute of Allergy and Infectious Diseases of the National Institutes of Health. Ray was joined in the research by two members of his lab who contributed equally: Stephanie Lynn Turner, a former graduate student, and Nan Li, a former lab assistant. Collaborators Cardé, Guda and Githure are the other authors of the research paper. UCR’s Office of Technology Commercialization has filed for patents and in 2010 licensed this intellectual property to a new start-up business, Olfactor Laboratories Inc., which has established a laboratory in the greater Riverside region for testing and development. The company, which is evaluating materials to produce insect traps and repellants that incorporate safe and effective odor-based compounds, expects the first product prototypes to be created in 2012. Photo shows an enclosed greenhouse in Kenya where experiments were conducted. 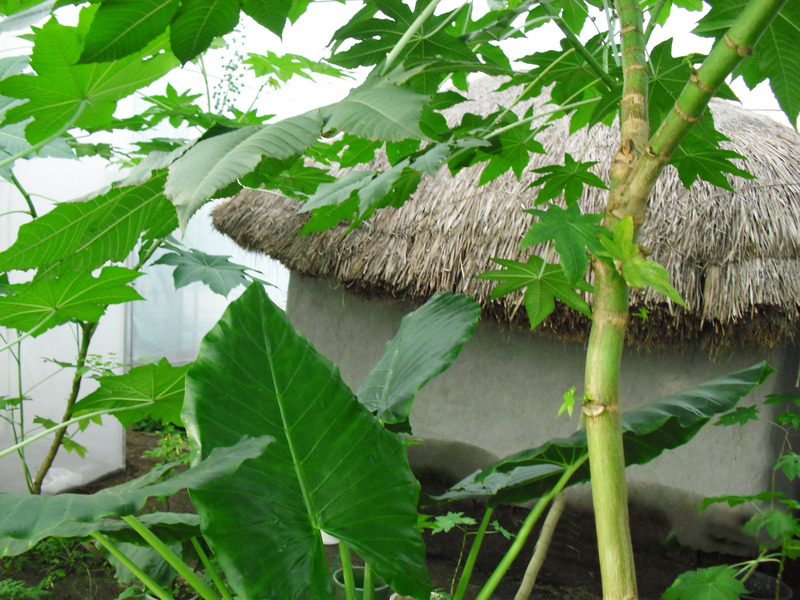 The greenhouse contained two faux huts (see photo below) with carbon dioxide-emitting traps placed in each of them. Photo credit: Ray lab, UC Riverside. Photo shows a faux hut within the greenhouse (see photo of greenhouse above). Photo credit: Ray lab, UC Riverside. 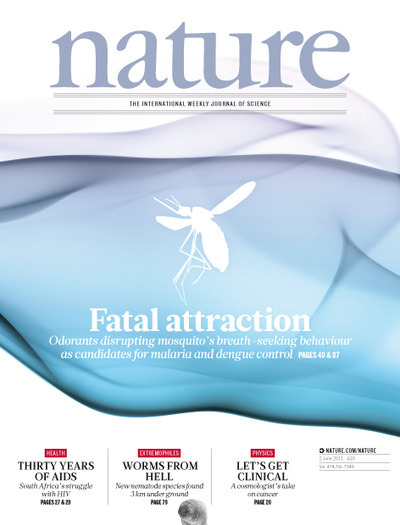 Cover of June 2 issue of Nature. Image credit: Nature.